Zinc Iron Oxide Nanoparticle Dispersions are suspensions of zinc iron oxide nanoparticles in water or various organic solvents such as ethanol or mineral oil. American Elements manufactures oxide nanopowders and nanoparticles with typical particle sizes ranging from 10 to 200nm and in coated and surface functionalized forms. Our nanodispersion and nanofluid experts can provide technical guidance for selecting the most appropriate particle size, solvent, and coating material for a given application. We can also produce custom nanomaterials tailored to the specific requirements of our customers upon request. See more Iron products. Iron (atomic symbol: Fe, atomic number: 26) is a Block D, Group 8, Period 4 element with an atomic weight of 55.845. 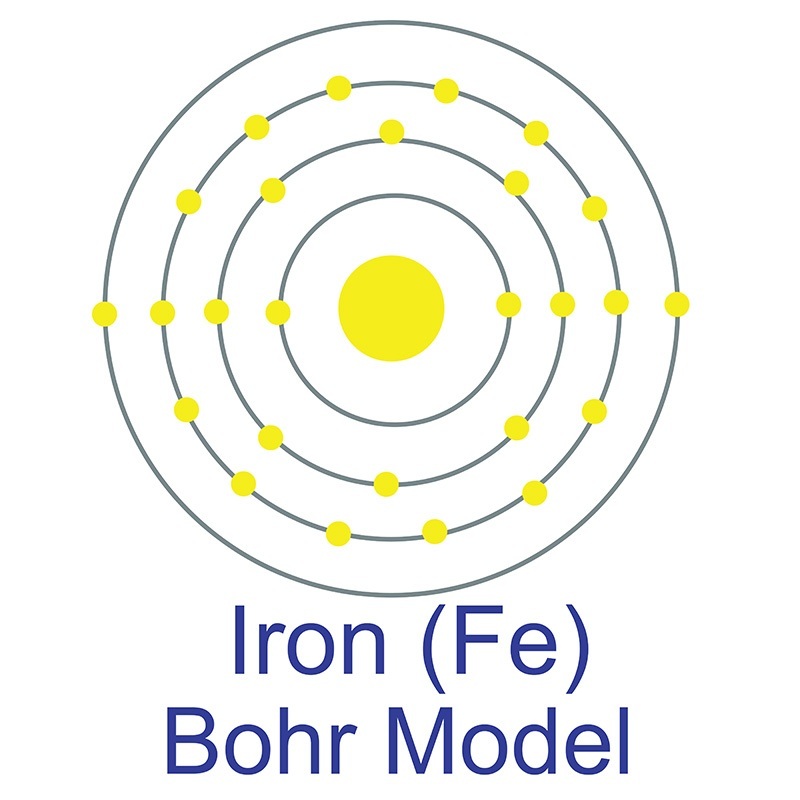 The number of electrons in each of Iron's shells is 2, 8, 14, 2 and its electron configuration is [Ar] 3d6 4s2. The iron atom has a radius of 126 pm and a Van der Waals radius of 194 pm. Iron was discovered by humans before 5000 BC. In its elemental form, iron has a lustrous grayish metallic appearance. Iron is the fourth most common element in the Earth's crust and the most common element by mass forming the earth as a whole. Iron is rarely found as a free element, since it tends to oxidize easily; it is usually found in minerals such as magnetite, hematite, goethite, limonite, or siderite. Though pure iron is typically soft, the addition of carbon creates the alloy known as steel, which is significantly stronger. See more Zinc products. Zinc (atomic symbol: Zn, atomic number: 30) is a Block D, Group 12, Period 4 element with an atomic weight of 65.38. 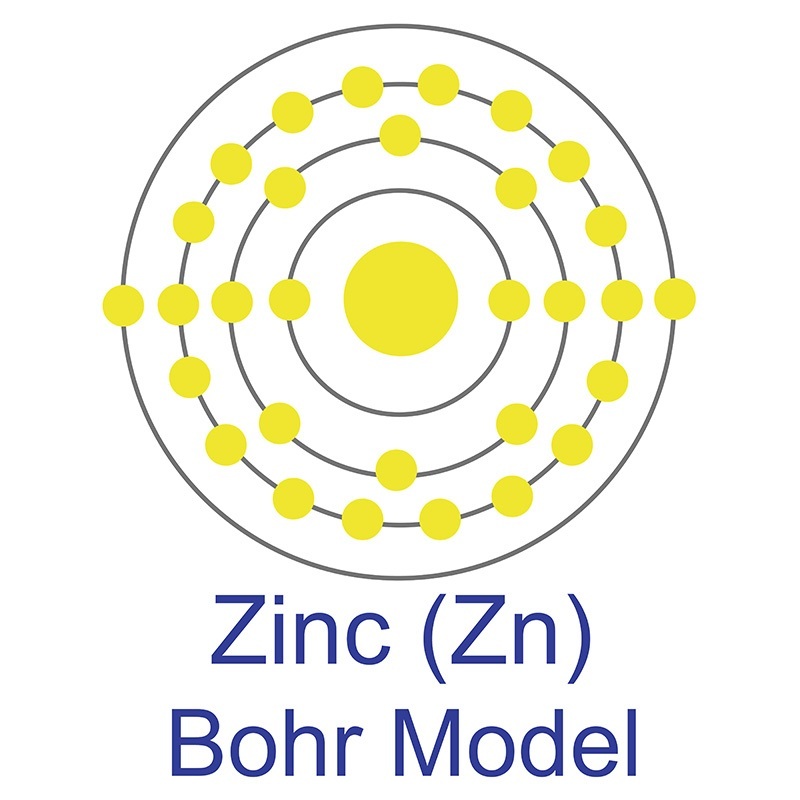 The number of electrons in each of zinc's shells is 2, 8, 18, 2, and its electron configuration is [Ar] 3d10 4s2. The zinc atom has a radius of 134 pm and a Van der Waals radius of 210 pm. Zinc was discovered by Indian metallurgists prior to 1000 BC and first recognized as a unique element by Rasaratna Samuccaya in 800. Zinc was first isolated by Andreas Marggraf in 1746. In its elemental form, zinc has a silver-gray appearance. It is brittle at ordinary temperatures but malleable at 100 °C to 150 °C. It is a fair conductor of electricity, and burns in air at high red producing white clouds of the oxide. Zinc is mined from sulfidic ore deposits. It is the 24th most abundant element in the earth's crust and the fourth most common metal in use (after iron, aluminum, and copper). The name zinc originates from the German word "zin," meaning tin. Study of structural and magnetic properties and heat induction of gadolinium-substituted manganese zinc ferrite nanoparticles for in vitro magnetic fluid hyperthermia. Doxorubicin hydrochloride - Loaded electrospun chitosan/cobalt ferrite/titanium oxide nanofibers for hyperthermic tumor cell treatment and controlled drug release. Catalytic ozonation of di-n-butyl phthalate degradation using manganese ferrite/reduced graphene oxide nanofiber as catalyst in the water. Optimization of Citrate-Gel Preparation Process for Magnetic Ni-Zn Ferrite Nanoparticles. Lithium Storage Performance of Zinc Ferrite Nanoparticle Synthesized with the Assistance of Triblock Copolymer P123. Size-Strain Analysis of Iron-Excess Mn-Zn Ferrite Nanoparticles Using Synchrotron Diffraction and Its Correlation with Magnetic Saturation and Isoelectric pH. Reduced graphene oxide/BiFeO3 nanohybrids-based signal-on photoelectrochemical sensing system for prostate-specific antigen detection coupling with magnetic microfluidic device. Coordination polymer-derived nano-sized zinc ferrite with excellent performance in nitro-explosive detection. Development of europium doped core-shell silica cobalt ferrite functionalized nanoparticles for magnetic resonance imaging. Evaluation of folic acid tagged aminated starch/ZnO coated iron oxide nanoparticles as targeted curcumin delivery system.